4453-AR-DST is rated 3.8 out of 5 by 38. Rated 1 out of 5 by matt from Hard to turn off, major pain I've had this faucet for about 3 months. When you pull the handle forward to shut off the water, it still leaks. You have to move the handle to the left just a certain amount to get it to shut off. It has to be in the EXACT location, or the water will still run. i now check it when i have to get up in the middle of the night. It's been that way from the day I installed it. I don't know if they are all bad, or just the one I have. Very disappointed in Delta. 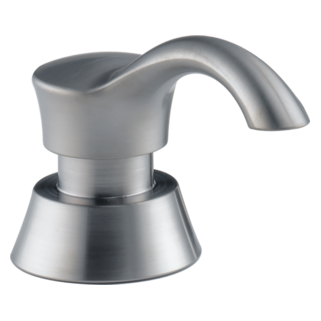 Rated 1 out of 5 by Ken M from Attractive look, subpar life expectancy Attractive looking faucet, that doesn't last. From the beginning, this faucet has had issues when shutting off the water, especially from hot. Many times I've found the faucet running or dripping. 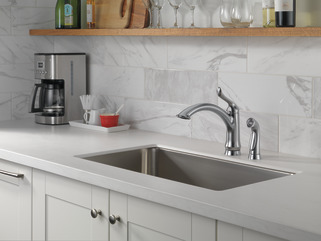 To turn off the water, you have to adjust the handle to pinpoint the exact spot to shut the water off. 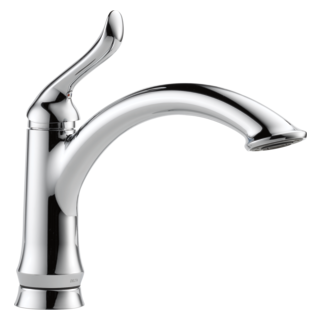 Constantly adjusting the handle each time the water is shutoff is very frustrating. 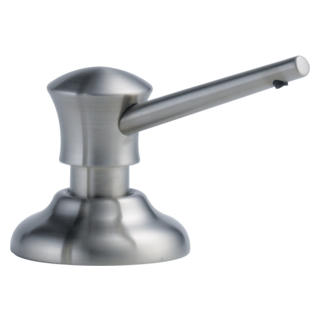 The handle has become stiff, and squeaks when moved between hot and cold, along with a slight leak. Rated 5 out of 5 by Scott G from Looks good, Doesn't work too good. 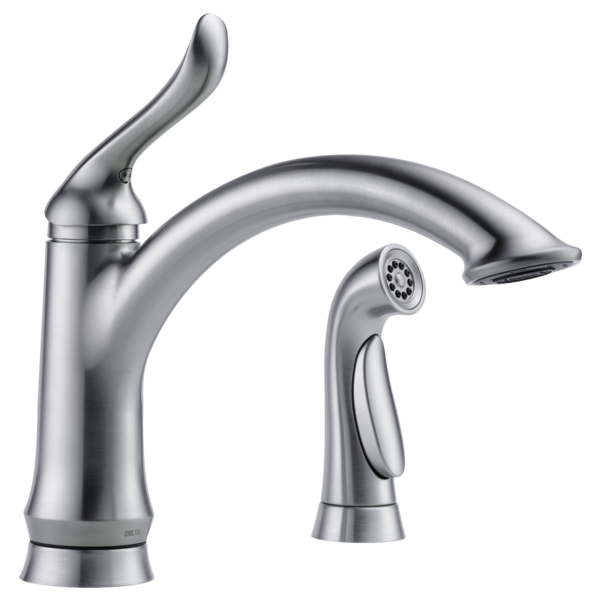 I wrote a review of this faucet and gave it one star. Delta sent me some parts to rebuild the unit and now it works perfectly. Cant figure out how to append my original review. Rated 1 out of 5 by Scott G from Looks good, Doesn't work too good. I've had this faucet for 7 years. When you pull the handle forward to shut off the water, it still leaks. You have to move the handle to the left just a certain amount to get it to shut off. It has to be in the EXACT location, or the water will still run. If it's left or right three microns, it still runs. I've walked in the kitchen thousands of times to see the water still on. It's been that way from the day I installed it. I don't know if they are all bad, or just the one I have. I have a bathroom faucet from Delta that does the same thing. Bad engineering I'm thinking. Very disappointed in Delta. Rated 1 out of 5 by spirit22 from Not happy with this faucet. Have had this faucet a little over a year, the sprayer sticks in the on position, water is hard to turn off as the handle has to be in just the right position. Find the water streaming quite often as my wife has a hard time turning it off. Have used Delta faucets all 53 years we have been married and have been very pleased until this one. 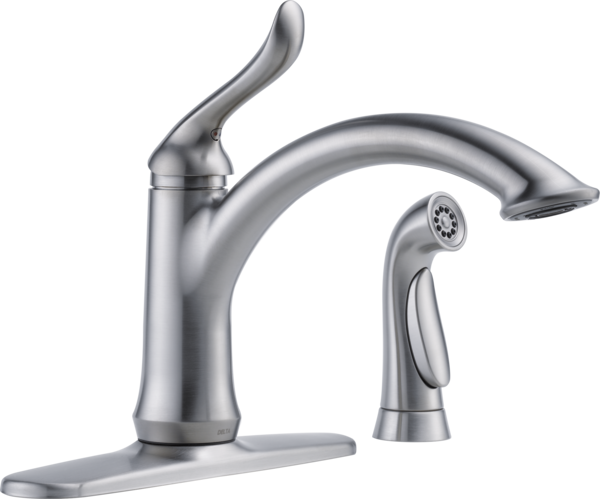 Rated 4 out of 5 by BR77 from Good Value, Easy to install Easy to install, works well, wish the hose for sprayer was a bit longer, but for the price this is a good faucet set. 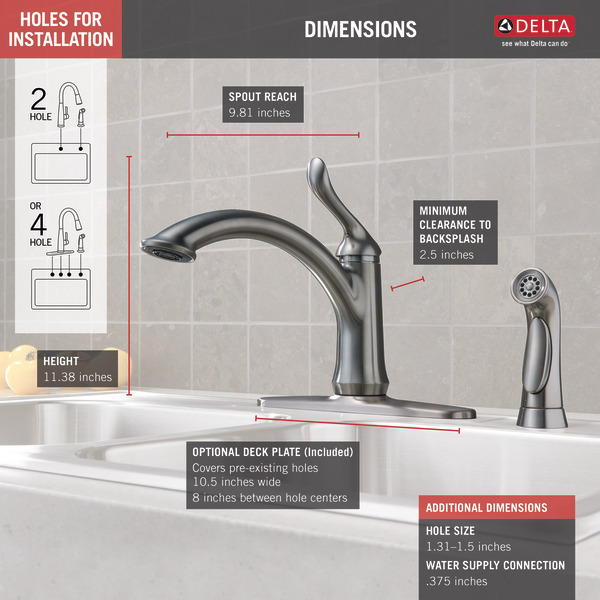 Rated 5 out of 5 by citacornell from Delta is reliable and easy to service, if necessary I purchased this faucet to install in my craft and painting shop. 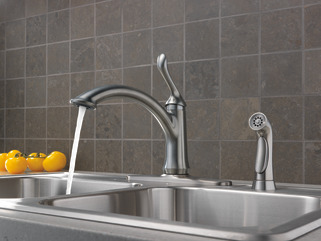 I usually avoid single handle faucets, but this one operates very efficiently. 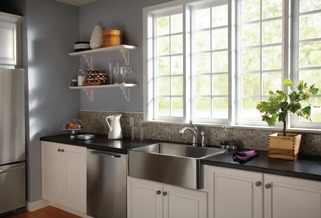 The faucet serves a double utility sink, so with the separate side spray, the water reaches to all areas as needed. Delta makes and reliable product which most plumbers prefer to more upscale products. 4453-AR-DST. Am thinking about buying this one but have this big concern. Also I have 2&quot; space between raised countertop and faucet handle I have now. Specs say need 2 1/2. If handle swivels, would this still be a problem? I am getting quartz countertop; have undermount sink [Ruvati 32-inch Low-Divide 50/50 Double Bowl Undermount 16 Gauge Stainless Steel Kitchen Sink &ndash; RVM4350] ---- should I have gotten this faucet:&nbsp;Delta 4453-AR-DST Linden Single-Handle Kitchen Faucet? 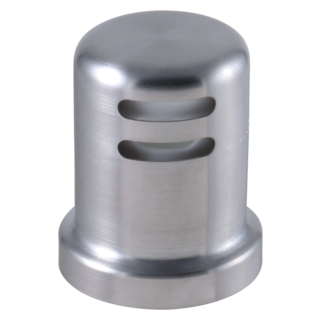 What are the exact dimensions of the single hole eustachian mounting plate for Model#: 4453-AR-DST? I have a 4453-AR, I'm not sure of the finish that I have. I need to order a single mount escutcheon &amp; gasket. 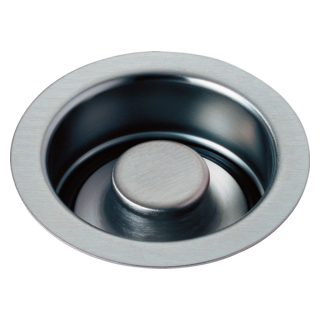 What is the difference between the stainless steel and the arctic stainless steel. The pictures don't show enough detail for me to identify which I have. 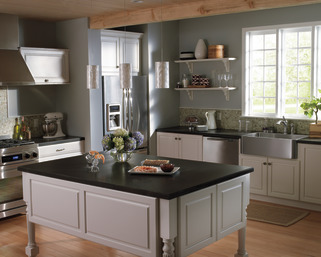 I updating counter tops and want to have a single mount. I can take a photo of what I have if that will help. Thanks in advance. The faucet is only 2 weeks old, brand new. 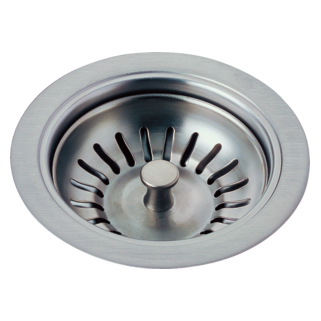 How do you remove the aerator?